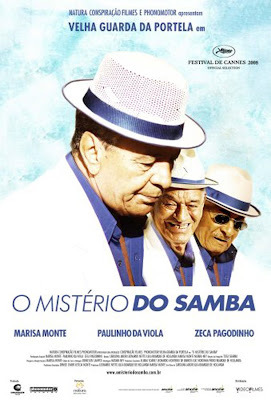 20.30 h - Film - “O Mistério do Samba” (The Mystery of Samba), 2008 - Brazil. Directed by Carolina Jabor en Lula Buarque de Hollanda. This documentary captures the rich lives—and astonishing vivacity of a group of veteran musicians and composers from one of Rio's most revered samba schools, Portela. These old gentlemen’s and ladies’ musicality and poetry are unveiled through their simple, but meaningful everyday life in Oswaldo Cruz, a simple neighborhood in Rio, that serves both asset and as a main character in this story. 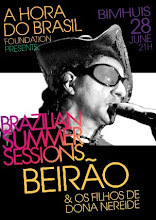 The magic of this birthplace of singers and poets is brought to vivid life with guest appearances by samba luminaries such as Marisa Monte, Paulinho da Viola, and Zeca Pagodinho. 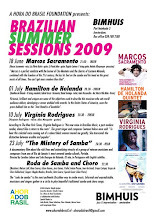 "O Mistério do Samba” (The Mistery of Samba), 2008. 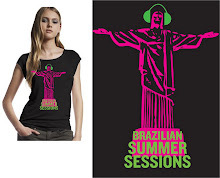 Brazil. 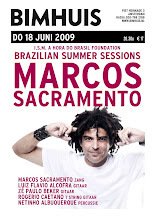 In Portuguese; English subtitles. 85 min. 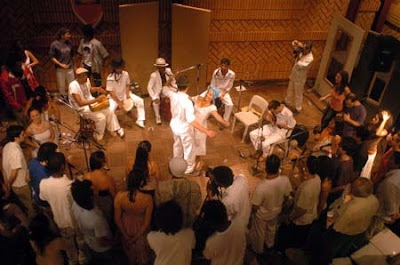 From the raw drumming to the refined choro, from candomblé to capoeira, the roda - circle - is present at most Brazilian cultural manifestations. It is a direct heritage of our African roots. Rites, ceremonies, music and dance are performed in a circle, where its participants see each other and expose themselves at the same time. 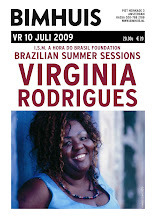 The Rodas de Samba e Choro are informal and unpredictable. 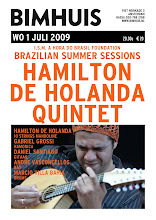 Musicians and singers gather in a circle around a table to play beautiful traditional samba and choro songs. They combine personal and collective flair. 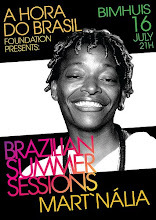 In Brazil, the rodas de samba serve as schools for many musicians. 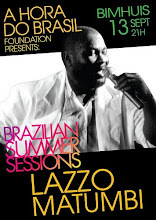 It is in this open space that singers challenge each other, talent turns into legend, composers try out new creations and the Brazilian music renews itself. 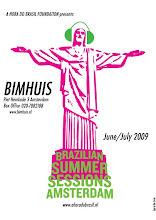 In the Brazilian Summer Sessions 2009, at the Bimhuis, musicians from both nationalities will interpret traditional themes and styles. 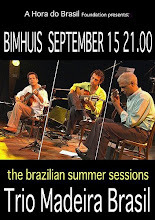 Singers and musicians from already existing groups - or meeting for the first time - will bring to the Dutch audience the flavor and mood of this so important Brazilian way of experience popular music.